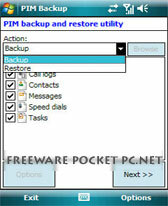 PIM importer freeware for Windows Mobile Phone. 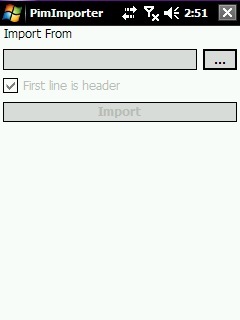 Summary: Import contacts and messages into windows mobile from csv files exported from Nokia PC Suite. Import contacts and messages into windows mobile from CSV files exported from Nokia PC Suite or any other contacts application. Useful app when moving from Nokia phone to a new Windows Mobile device. 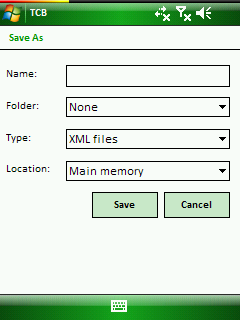 The program has a default map for the csv of ITA vers. of PC Suite. In the future maybe i add a map for the other languages. But it's not a problem, you can map the columns manually. Has anyone got this to work? All I get is contacts called with bunk data in them.